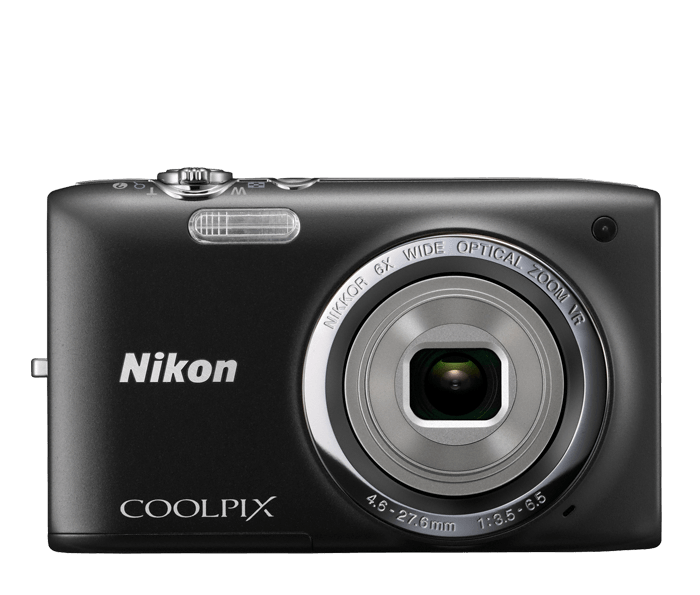 The COOLPIX S2750 makes shooting great photos and HD videos a breeze. The camera automatically optimizes its settings to get the best shot possible. Want to apply a special effect? You'll have no trouble navigating the camera's simple menu and selecting from a variety of fun effects. Want to record a video? It couldn't be easier! Just press the dedicated movie button and start shooting 720p HD video with sound. And like all COOLPIX cameras, the S2750 features a high-performance NIKKOR glass lens for dazzling views of your world. Go have some fun! The COOLPIX S2750 is so easy to use, anyone can take great photos and videos with it. Just turn the camera on, point, shoot and marvel at the results. For maximum point-and-shoot convenience, select Easy Auto Mode, which automatically optimizes the camera settings for each shot, no matter how challenging the situation. You'll be free to enjoy the moment while you capture it. When a photo alone won't do, press the dedicated movie button and instantly start recording 720p HD video in widescreen format while the built-in microphone captures the sounds of the moment in high-fidelity. When you're ready to share your creations, connect the COOLPIX S2750 to an HDTV and dazzle your friends and family. Kids and pets are always on the go. Fortunately, the COOLPIX S2750 includes Subject Tracking, which automatically locks onto a moving subject and keeps it in focus until you're ready to take the shot. Not sure which Scene Mode to choose? No problem! Select Scene Auto Selector and let the camera make the call. From Night Portrait to Backlighting, the COOLPIX S2750 will use the best Scene Mode for the situation.